Publisher: Grosvenor House Publishing Ltd. In this story of Kings and Dukes, of wars and betrayal, two unlikely people meet and fall in love in a few short days. Even though the circumstances of Francis's birth and childhood should have kept him in a lower station of people, his friendship with the King's brother has given him a higher place in the Kingdom. Once madly in love with Margaret, he scorns her because her birth station was even lower than his. After she marries and becomes a widow, he decides to declare his love and ask for her hand in marriage. When she refuses, he is devastated and wonders if he will ever find love. When her father and brother are killed, and declared traitors of the King, Eleanor loses everything. She must hide from the King with the Countess of Warwick, whose husband was killed in the same battle. They take shelter with monks and lead a quiet life of solitude for many years. The Countess's daughter is married to the King's brother who finally convinces the King to allow him to bring his mother-in-law to his home, along with Eleanor. Francis is part of the group who travels to fetch the Countess and bring her home. As soon as he and Eleanor meet, they feel an attraction that is hard to ignore. Both women are eager to leave and make the journey home, but certain provisions must be purchased first. Eleanor is sent to make these purchases and disappears. Francis is determined to find her and bring her to back to his home to become his wife, despite others' belief that she left on her own to be with another man. An intriguing story that will keep you in its clutches until the very end. Womanly pride would prevent Margaret from accepting me immediately, I could see that, but in my youthful arrogance I was certain that an hour or two of remorseful pleading would suffice to rekindle her feelings for me. Kathy Martin has been writing since she was a teenager. 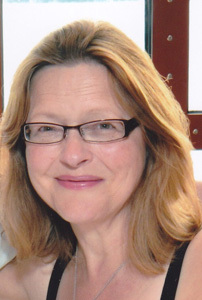 Historical fiction was always her goal but she honed her writing skills by working for a number of different publications before starting work on a novel. Her first success came in 1987 when she was a runner-up in Cosmopolitan's 'New Journalist' competition. This was followed by a long stint writing for and editing various magazines, most of them relating to the antiques and collectables hobby. In 2007 Kathy was approached to write a book about the history of the teddy bear. She followed this up with two further books on a similar theme. In 2011 she was finally able to focus on her first love, historical fiction. Her Who's Who in Women's Historical Fiction - a handy A to Z guide to some of the most interesting characters in female-penned historical fiction - was published in 2012. 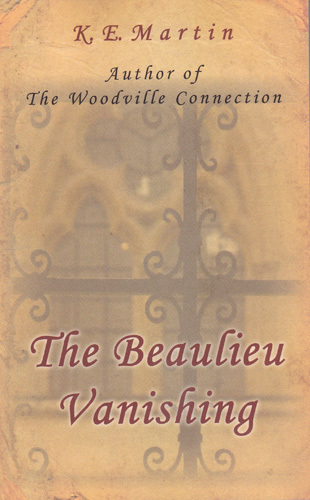 The following year her first historical novel, The Woodville Connection, was published under her fiction name, K. E. Martin. A murder mystery set in 15th century England, it introduces the character of Francis Cranley, an illegitimate young man raised as unofficial foster brother alongside Richard, Duke of Gloucester. Handsome, clever and handy in a fight, Cranley is sent by Gloucester to prove the innocence of an old soldier friend accused of murdering a child. Investigating the crime in the claustrophobic atmosphere of Plaincourt Manor, Cranley discovers more than he had bargained and his safety is put in jeopardy.